Microsoft has moved its head of Windows Phone away from the role, with a leaked memo from Steve Ballmer announcing that Andy Lees' responsibilities but not his divisional president title would be swallowed up by Terry Myerson. Windows Phone has certainly marked a step change from Microsoft in its mobile strategy, with the metro interface winning plaudits if not the handset sales that the software giant had hoped for. 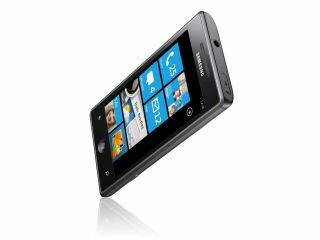 A key partnership with Nokia has seen the arrival of the Nokia Lumia 800 but its impact appears to have not been enough to keep Lees in his current role. All things digital have published a copy of the memo, in which it reveals statements from Ballmer saying: "I have asked Andy Lees to move to a new role working for me on a time-critical opportunity focused on driving maximum impact in 2012 with Windows Phone and Windows 8. "We have tremendous potential with Windows Phone and Windows 8, and this move sets us up to really deliver against that potential." "We reset our strategy, built a strong team that delivered [Windows Phone 7] and [the Mango update] and created critical new partnerships and ecosystem around Windows Phone. "That is a ton of progress in a brief period of time, and I'm excited for Terry and team to keep driving forward and for Andy to dig into a new challenge." Heading up Windows Phone was always likely to be a tough task, with the company investing heavily in the project in the hopes of catching up with Apple and Google with iOS and Android respectively. Microsoft are unlikely to take the foot of the pedal just yet, however, despite Ballmer's admittance that sales have not been as high as hoped. Windows 8 is now looming large on the horizon, and with Xbox and Kinect flying high, Microsoft will hope that its family of products, all boasting familiar user interfaces and playing nicely with each other can lure people over from its rivals.